Every year as the donations for Peak Potential begin arriving I get excited about which ones I plan to bid on or which ones I feel are particularly awesome. This year, I thought I’d take the time to share some of the amazing options provided by our generous group of donors and let you join in the excitement and if you are attending create your own plan as well. I’ll take this moment to thank you in advance for bringing, if possible, your checkbooks. 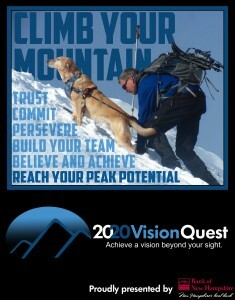 While we do take credit cards their use reduces the amount that 2020 Vision Quest receives by 3% of your payment. Now on to the exciting part, what’s up for grabs?? 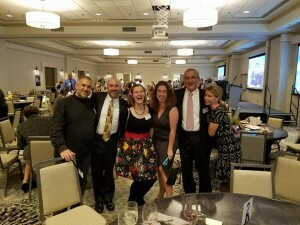 This year’s live auction items are a pretty exciting bunch and I am particularly enthusiastic about them because I get to directly participate in two of them! A chance to join Randy and I for a hot air balloon ride. A one to two hour visit with Santa for your holiday party. Dinner for 4, made by me personally, and hosted at Randy and my home. Two tickets (note: Tracy correct error from three to two) for a November 29, 2017 taping of the Stephen Colbert Show in New York City. As usual, one never knows what sort of additional items Randy may decide to throw into a package so be ready for anything and start your planning! 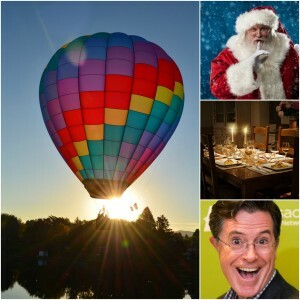 A weekend Getaway or ski weekend in a vacation home located just 20 minutes from North Conway. There are several weekend options to choose from and this home sleeps 6-8 people. Two nights stay in Carrabassett Valley with 4 ski lift tickets. Two nights stay at Loon Mountain. An amazing Coach handbag, the leather is butter soft and this is an amazing everyday bag. A signed autographed copy and photo with the author of The Tethered Mage, a new fantasy book that is getting rave reviews. We have a return of a several very popular jewelers, along with a few new jewelers and array of pieces to fit many different styles from necklaces to bracelets and earrings. For the athletically inclined we have gift certificates to Runner’s Alley, an amazing Head tennis racket package from, Willow Racquet & Fitness Centre, a great swim package from H2GO (I can attest to the greatness of their swim coaching! ), as well as, a variety of options for ski lift tickets. Gorgeous imagery by Greg Neault, Lisa Berman and Yolanta Sprucinsky (watch out, I’m bidding on all three!). Also a chance for a personal portrait session by Mallory Portraits. I could go on for a very long time. 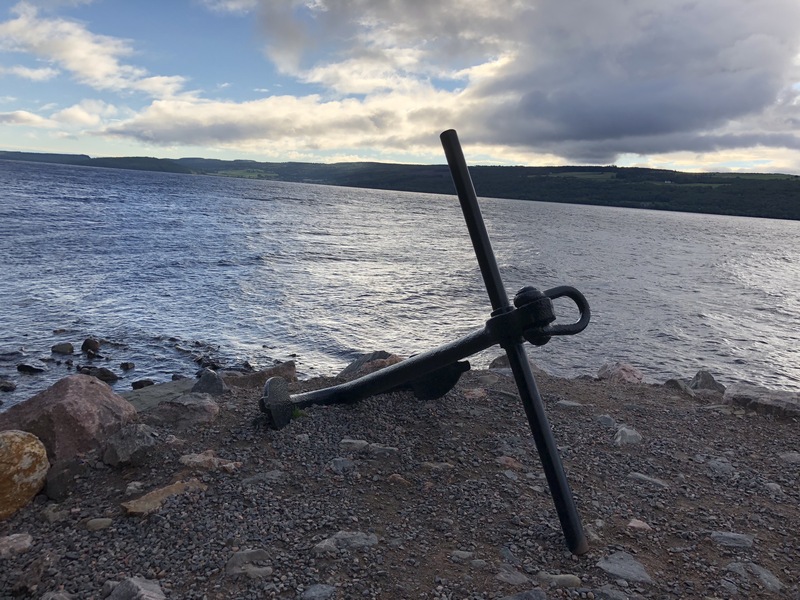 I think this year we have been particularly blessed with generosity from donors providing a grand variety of items and you will find something for everyone in our auction. I look forward to seeing you on the 18th! 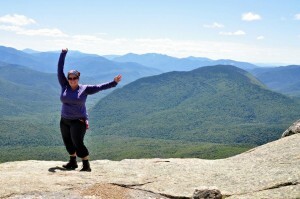 Tags: challenges, guest blogger, Hiking, Inspiration, marathon, Motivation, outdoors, success. I was running when I wrote this, so sue me if it goes too fast. A lot of people have asked me why I decided to run a marathon. After today’s 16-mile training run, I’ve been wondering that myself. One of the leading hypotheses is that I must have been inspired to take on this bench mark of physical feats by the exploits of one Randy Pierce. It’s easy to see why that theory would gain so much traction in my social circles. Randy and I spend a lot of time adventuring together, he is a perennial marathon runner (heck, he’s even running the very marathon I’m registered for), and if I had a nickel for every time I heard someone refer to Randy as “inspirational,” I wouldn’t be able to claim my position on staff at 2020 Vision Quest as volunteer work. Although there is certainly a strong case to be made for Randy being my marathon inspiration, it’s not accurate. Don’t get me wrong, he’s certainly inspired a lot of people to do a lot of positive things (myself included), this just isn’t one of them. I’ve come to accept the fact that Randy is a force of nature that will not be stopped. He’s like my personal Chuck Norris. Our adventures don’t challenge Randy; Randy challenges our adventures. If this was your guess, though, take heart–you weren’t too far off the mark. What some people in our 2020 Vision Quest audience may not know is that Tracy Pierce is also a marathon veteran. I have tapped into a deep well of inspiration in following the exploits of the fairer Pierce. 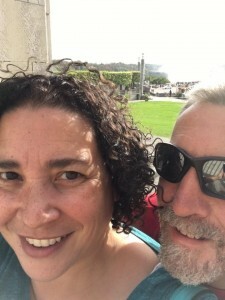 Tracy is ever present in our adventures and exploits and as such I’ve had the privilege of bearing witness to her trials, tribulations, and triumphs. On more than one occasion I have used the word “tenacious” to describe Tracy in pursuit of goals. 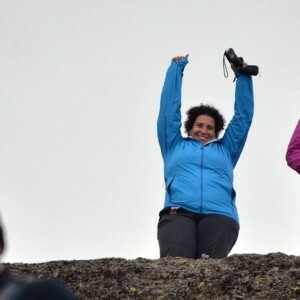 When she sets her mind to a task, she will push through all physical, mental, and emotional challenges presented to reach the finish line (literally and figuratively). Tracy very regularly signs on for activities that she knows are going to be an immense challenge for her that will likely be much less of an issue (possibly none at all) for many others in the group. That takes guts. I’ve often wondered if I have that kind of fortitude. 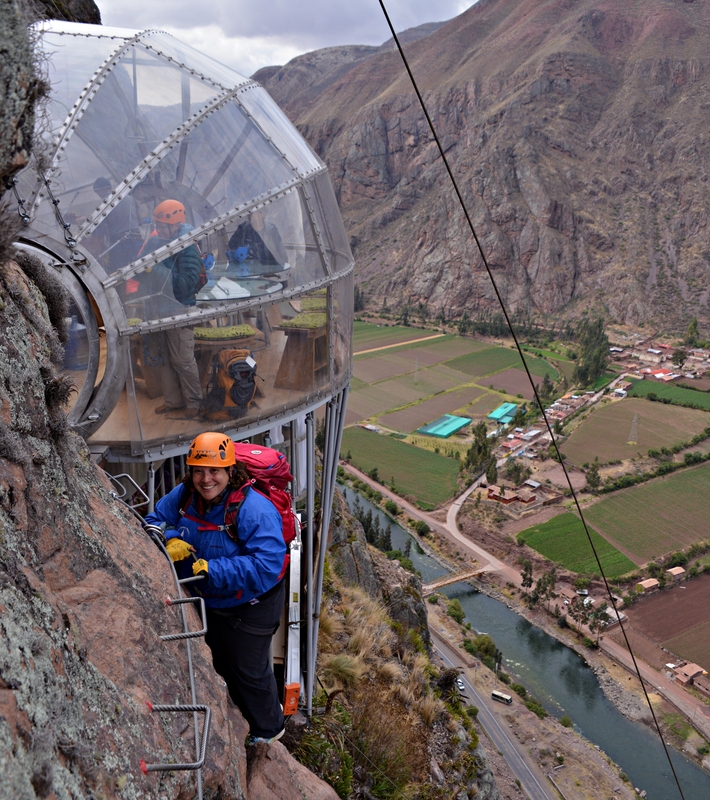 I have much more than the required courage to scale a cliff to sleep in a glass bubble high above the Sacred Valley. But would I have the courage to accept an invitation from folks with greater skills or endurance than I to take part in an activity that I feel I may struggle to accomplish? I can’t say. Tracy goes into these events with full knowledge that she won’t be the first to complete this race or challenge, she’s not going to win a national division championship, and she’s not going to be called heroic or inspirational by passersby. 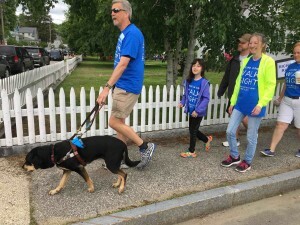 When some are being congratulated on their perseverance for taking on this challenge blind or dedicating their efforts to guiding a blind person through such dramatic circumstance, Tracy is hiking her hike or running her run, with no promise of accolades or pats on the back, no ribbons or Boston Marathon qualifying glory. She doesn’t do it because other people have done it–she does it because she wants to and it pleases her to do so. When I watch Tracy take on big things, struggle harder than others, push though that hardship and make it happen, it inspires me to push myself into the unfamiliar, to reach out beyond my comfort zone and try something that does not promise to end in my favor, the completion of which will be rewarding. I hope to bring some of her tenacity with me to the California International Marathon. If I can employ that trademark iron will, I’ll be on the path to success in Sacramento. 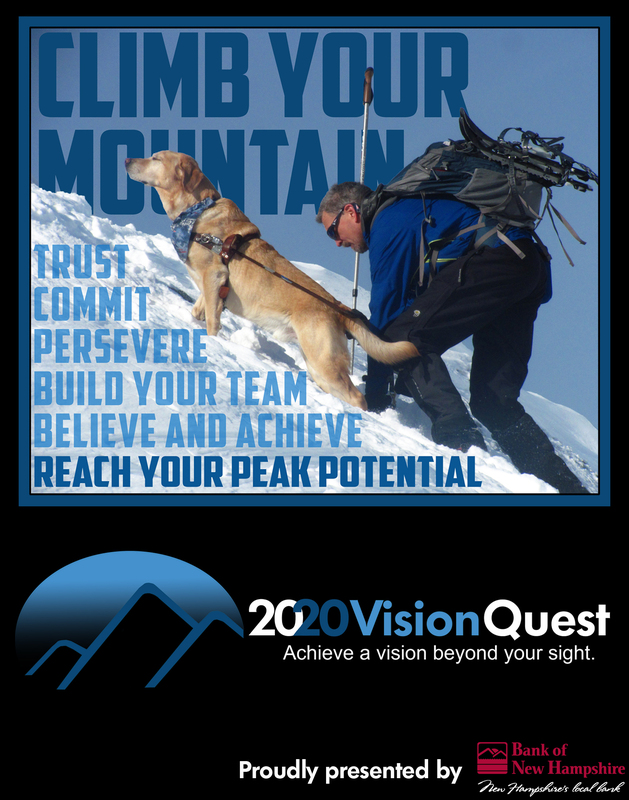 Tags: 2020VQ, blind hiker, Hiking, Inspiration, outdoors, Peru, Randy, success. The team with the Rainbow Mountain Range behind them. Photo courtesy of Tracy Pierce. On our recent trip to South America, we chose a series of rewarding and challenging experiences that blended the historically intense cultures with the breath-taking backdrops of the incredible natural treasures held within Peru. 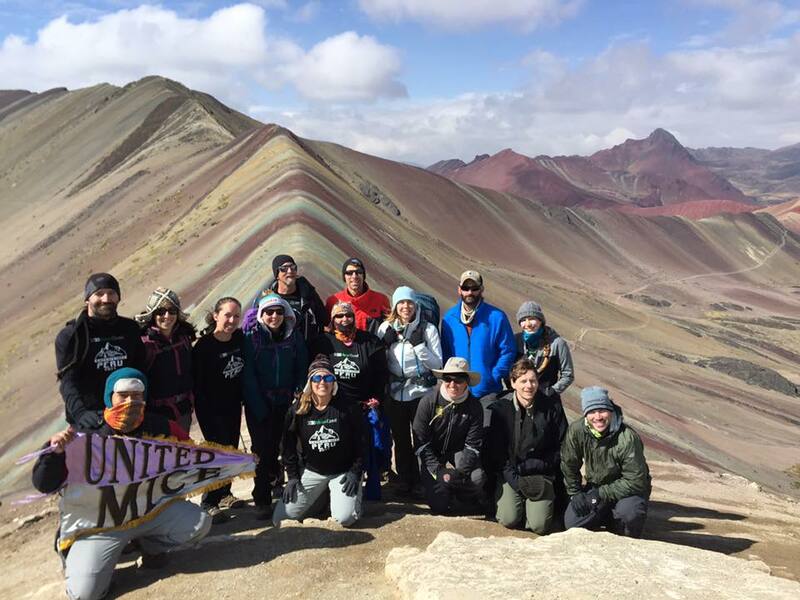 This only served to enhance the notion of savoring each step along the journey despite the unparalleled splendor of Rainbow Mountain which dominated the landscape from our perch atop Winicunca at the end of our remote trek through the Andes. Certainly the altitude had already stolen much of our breath and yet the staggering views managed to evoke an astonishment beyond the expectations we had built, despite viewing many photographs in preparation for the moment. Each of us were held for a time, imprisoned in sublime silence by the majesty of those magical mountains and still there was something more powerfully at root within us for the true culmination of our expedition. 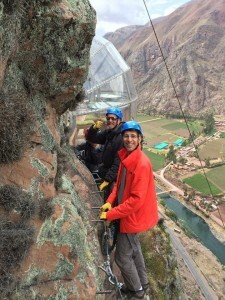 We began assembling in Cusco, Peru at an impressive altitude of 11,132 feet. We roamed around the historic Plaza de Armas and observed the melding of Spanish culture with that of the native Quechuan people. Such vast differences in culture from our own as the festive marketplace was an experience in and of itself. Soon our travel guides, United Mice, brought us to Walter Suri who would be our guide for most of the experiences ahead. A native Quechuan, he spoke four languages and was well versed in the history and culture of his people with a bias understandably different from the textbooks with which most of us had more familiarity. 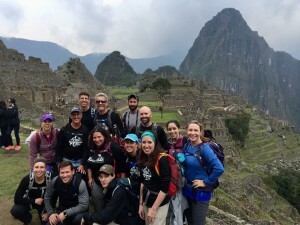 The team at Machu Picchu. Photo courtesy of Tracy Pierce. We toured many areas of original stonework crafting demonstrating the astounding talent of the Incan Empire. Their ability to build to withstand the earthquakes of the region and to integrate it with their natural world showcased remarkable artistry and engineering. We filled a week of learning on just the one-day trek across a pair of tectonic plates and seemingly a handful of centuries as well. Walter gave us insight into a people not quite lost to time. We stood in the chambers of the Temple of the Sun where King Inca was held prisoner and ransomed for a room full of gold and understood a little of the tragic results of civilizations colliding without the sophistication to preserve the worthy qualities of each culture. We took those somber reflections away from the city of Cusco. 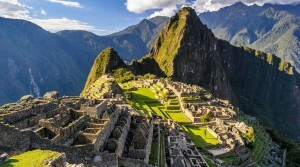 The entire trip was initially founded upon a visit to Machu Picchu. 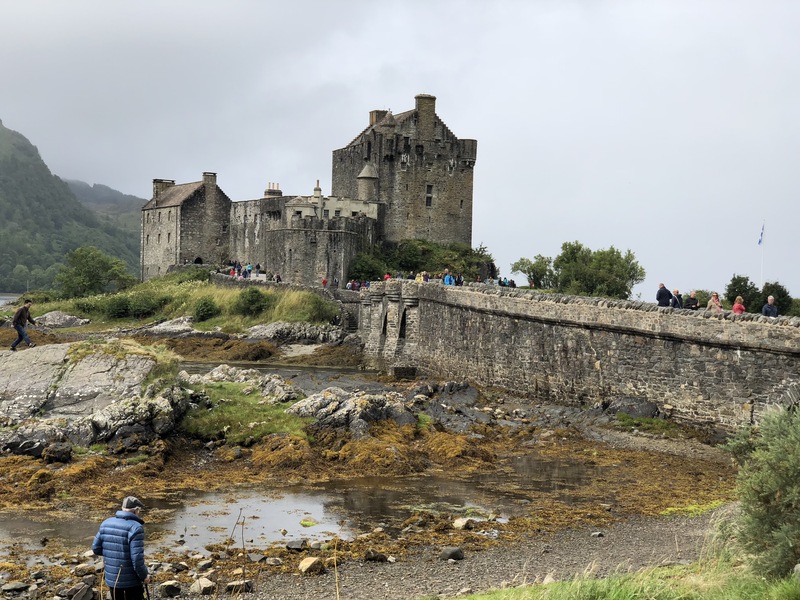 While highly commercialized by the busloads of tourists brought into the ruins each morning, the vast mountain retreat is still impressively captivating. Built into the mountain with terraces, fountains, and the ever-present Incan stoneworkings, it was easy to look across the deep chasm and marvel once again at the civilization which crafted this mountainside retreat. 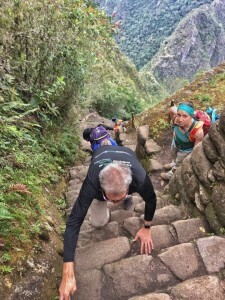 A very steep climb up Machu Picchu. Photo courtesy of Tracy Pierce. We barely had time to appreciate a fraction of those marvels before we set out to climb Huayna Picchu. This craggy peak towers over Machu Picchu and is rated amongst the most frightening climbs in the world as it blends sheer drop-offs with steps built into the cliff edge along the way up to the terraced top. It provides an unrivaled view of the region and a challenge for those to whom heights are intimidating. 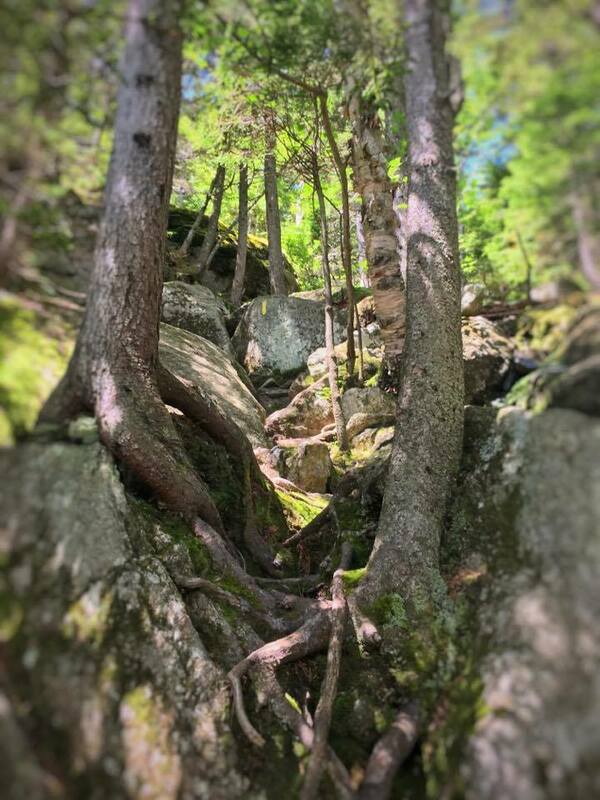 While not more challenging a trail than what we routinely encounter in our White Mountains of New Hampshire, the consequences of a misstep were continuously more stark and the emotional energy was as significant as the rewards we shared in our team success throughout the many difficult stretches of this climb. Already we had savored an incredible amount and the majority of our experiences remained ahead with the subsequent days’ start of our four day trek into the Ausangate Range. 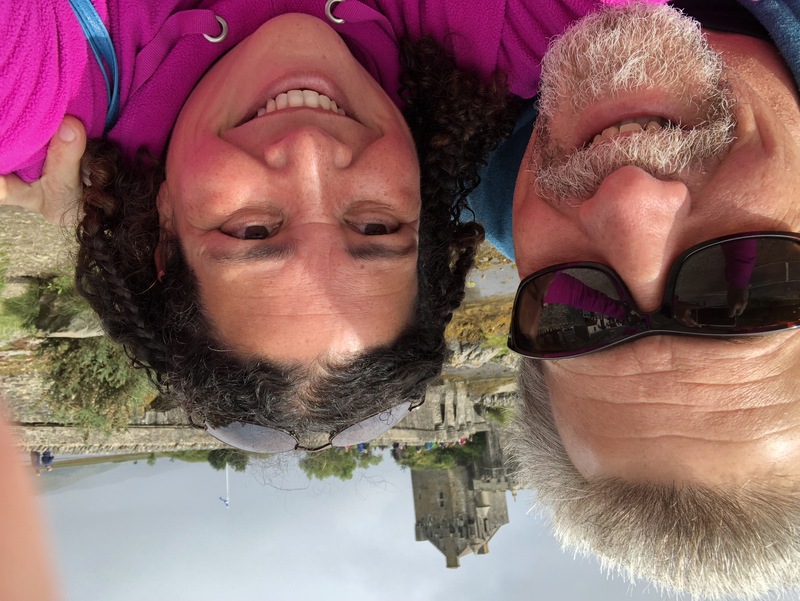 It began on a very rough road in which our adapting to the pace of low oxygen breathing was interspersed with dodging the “no license required” motorcycles which were a primary means for farmers to move simple supplies along this road into the mountains. We gained elevation steadily and the massive form of Ausangate or “Snow Mountain” was ever in our sights. This enormous peak is taller than Kilimanjaro and would be the center point of our hike. We passed through farms and briefly experienced a life so quiet and incredibly rural as to hear the call of civilizations past. Two very young school girls travelled with us after school, part of their two-hour walk on trails, one way(!) to attend school. Alpaca, llama, and sheep were commonly encountered along the way. While being quickly surrounded by a remote and beautiful wilderness, the struggles were interspersed throughout the team as altitude can cause painful headaches, nausea, and a wearisome shortness of breath. The team began both encouraging and supporting each other early and I thought for some it was indeed the best of times and worst of times. Sunset on the first day was particularly incredible as we were just nearing our final camp destination and our rolling highland hills held dramatic clouds surrounding Ausangate’s glacially capped magnificence. Exhausted from the effort and immersed into the sudden splendor of these ranges, the Upi village hot springs were something only a few of our group appreciated and the gift of southern hemisphere stars without any light pollution was a wonder to behold. The Milky Way was vividly creamy and the “Black Llama” inverse constellation highlighted the nebula viewing possibilities. Beautiful view of Ausangate in the distance. Photo courtesy of Jose Acevedo. The next day we climbed higher still to Arrapa Pass as we circumnavigated the seemingly impassable mass of Ausangate. Tiny stone homes where a shepherd brought his herd every five years in rotation were some of the only signs of any connection to an outside world we had near completely escaped. As we camped by the Western Ice-fall of Ausangate, our evening held the sounds of many avalanches thunderous enough to raise our focus and just distant enough to ensure we had no peril. The twin glaciers dripping down the steep side framed a massive waterfall into turquoise lagoons in a valley of incredible serenity. 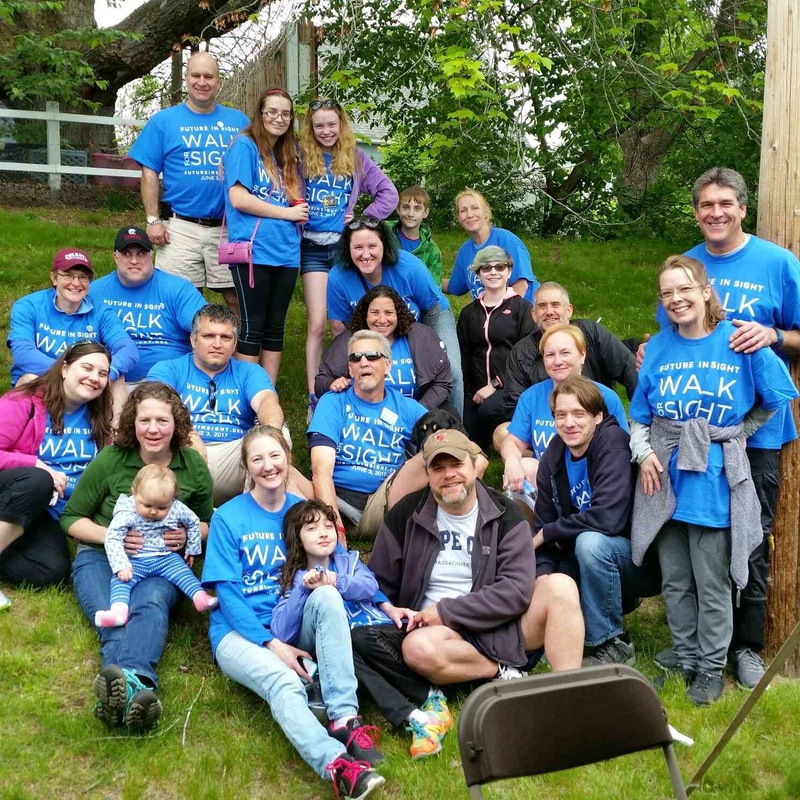 The views, celebrations, and struggles continued for many of our number and the support, caring and connection of the team grew with each step. I was trading guides regularly to avoid any strain on them and fortunately my health remained near ideal throughout the entire trip. 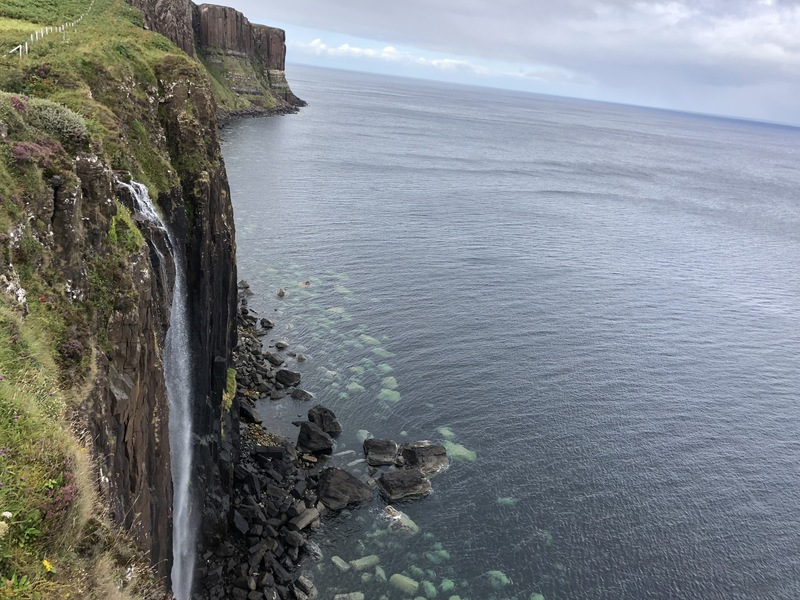 Our third day brought us over 16,000 feet a couple of times and past remote locations where seemingly wild Alpaca ranged beneath a waterfall on the edge aof a ridge line across yet another lagoon. We had passed the shark-tooth mass of an unnamed dour mountain and the geological wonders of the rainbow striations were seen in the distance and our ultimate reward. Communal meal tent time brought the team together to reflect on the trail, distract with laughter, or simply share struggles and support. Each portion of the trip brought visual splendors which surpassed expectations and always the remote aspects of the experience were a gift to us. So it was that our final trek began at 3:30 am so that we would arrive to the Rainbow Mountain Ridge before the ever growing popularity of day trips brought people to our secret treasure. We had roughly half an hour of near seclusion to savor the team, the accomplishment, and the majesty before the arrivals of day trippers from the other side began. We made our way out amongst them, appreciative of our guide Walter’s impeccable timing. For almost half the team this was a parting of sorts as eight of us would make a trip to Sky Lodge for a final adventure together, but an ending had begun. The team was not unravelling–our experiences together had brought us too close for that. We will part but in a moment of reconnection we will be back in the Andes together with the bonds only a shared powerful experience can create. With but an eyes-closed recollection most of us may vividly recall any of a multitude of amazing and breathtaking moments along the path in Peru and those are the truest treasures, not the iconic summit or achievement but every mindful moment of possibility upon the journey. The team climbs up the side of the cliff to the Sky Lodge. Photo courtesy of Tracy Pierce. Finally, I cannot leave out the Sky Lodge experience. Scaling the 1800-foot cliff to our transparent pods was as adrenaline-laden an experience as imagined. Risks managed by the two clip system, we still faced overhangs, wire crossings, and endless stretches of steep climbs and sudden drops. It was exhilarating and to culminate in the dining pod which was open rock face behind and wide open view to the sacred valley everywhere else was… simply unique. We celebrated our accomplishment and were served an incredible dinner by our guides from the comforts of that cliffside perch. 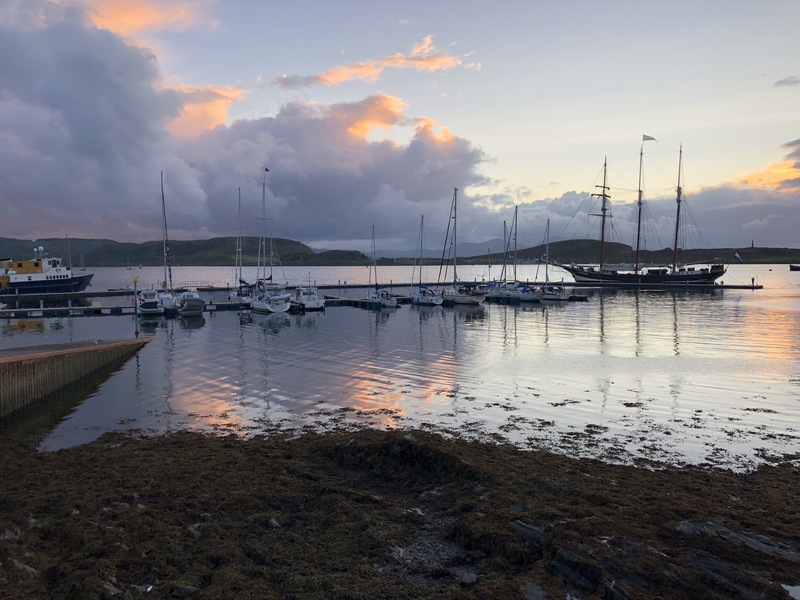 We retired to our 4-person pods to sleep in comfort and while the remoteness was not as hoped since 1800 feet is an eternity upwards and yet so very little actual distance from the roads, trains and shops below us, the exuberance was slow to fade. Morning’s breakfast involved a brief climb to the dining pod and then the six-point zip line retreat. 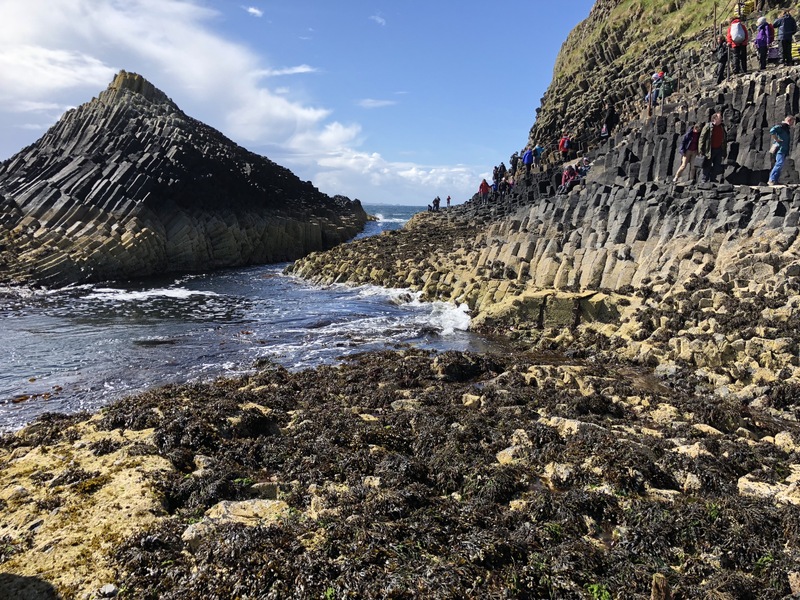 There was a speed line named the Arrow and a 700-meter line called the Beast, but all of the traverses of a cliff were surges of intense excitement to cap off the adventurous portion of our excursion. We all had at least one tandem ride and all grew closer still to share these things together. My final reflection as it all came to an end is how glad I am to choose experiences with friends as a way of building the person I hope to become. I grew as a person to view the people of Peru, the wonders of their land and most especially our triumphs and struggles together to ensure we could all succeed as we did. For me especially there is a feeling of occasional burden upon those who choose to partake of these things with me and yet never did any of my friends hint at such a thing. Instead, they are the kind of people who help me feel that together we experience the situation more fully and more richly because our differences do not separate us but unite us in appreciation of a world with wonders worthy of that union. Tags: challenges, disabilities, Inspiration, Motivation, Randy. 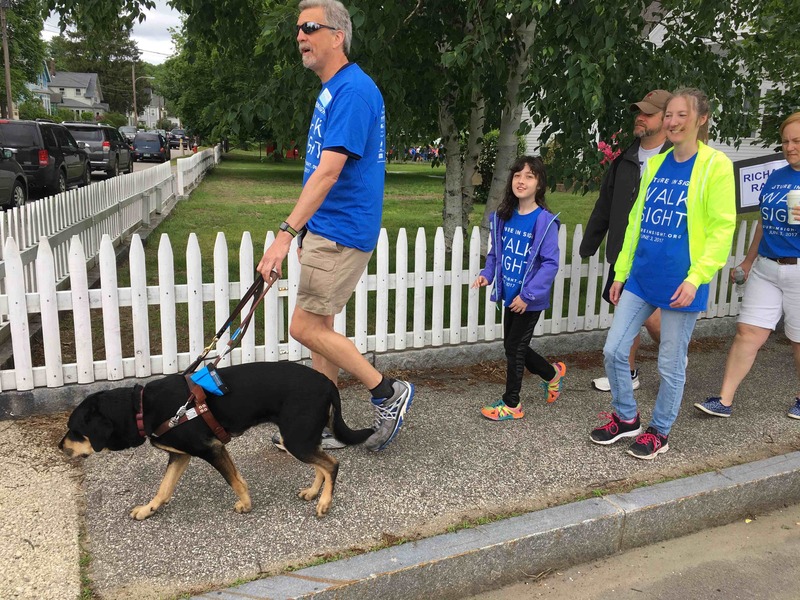 When you’re blind, a lot of things can feel like a steep uphill climb. I firmly believe going blind was much harder than being blind. While losing sight had many challenges of varying intensity, being blind for some time has lessened the burden considerably. Still, there is one persistent challenge with a solution I attempt constantly and yet so often struggle to manage: almost everything I attempt simply takes more time to manage without sight. This can lead to frustrations and failure unless I plan for the potential extra time and learn to practice patience in everything I attempt. Planning more time is a benefit although we all still have the same number of hours in each day. So as I prioritize the things I hope to accomplish, there are more difficult choices of things to exclude simply because I know I should allow additional time. This time manifests immediately in the finding of items I need. This is mitigated by better organization, although that organization requires some initial setup time. Identification of items whether by tactile or technology is typically more time consuming. Travel usually requires a little more planning and preparation, whether to ensure Autumn is also prepared or that any coordination involved has been managed with possible delays included. Often this involves putting myself at the scheduling of others which means building in margins. Bus schedules have an earliest possible arrival and I need to be there by that time even though they may not arrive until the latest window. Several times it is well past that later window before I can determine reasonably they must have driven past me without stopping. Hopefully I’ve left myself enough time for back-up plans! I admit these time drains are frustrating, moreso when I’m caught waiting outside in particularly unpleasant weather. The reality is that these concerns are part of the world in which I exist and to be frustrated by them too much would be to allow constant negativity into my world. This is why the notion of practicing patience is so valuable. Part of that is learning to understand what is truly urgent and what is only important at varying levels to me. The more urgent, the more time margins I allow and patience I plan into events. The lower the importance, the more I can tighten those windows and accept the consequences if things go awry. These truths hold whether you are blind or fully sighted–it’s just that blindness affords me many opportunities to test my patience, as not only will most things take me longer, but also I’ll likely have to gently educate people around me for how and why things may take longer. Sometimes we can agree upon shortcuts to alleviate the process and sometimes there are good reasons why those shortcuts are not acceptable. In the latter case, it is often the explanation of why which may require the most patience and consume the most time. It is also the best reason for patience, however. The best moments for education and team building occur when done from a platform of patient knowledge sharing. Reminding myself of that notion is a significant part of the motivation to success in finding my patience. I just hope you may forgive me if you encounter me in a time of failure and perhaps give me a gentle reminder to get back on the path! Tags: Autumn, community, Inspiration, Randy. 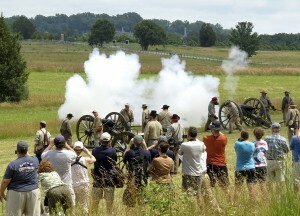 Living History at Gettysburg NMP include black powder cannon demonstrations. Source: National Park Service. I am a student of history and found particularly powerful the tales which highlighted the nature of those brought together 154 years ago on the fields of Gettysburg. It is not the awful brutality of battle and war which captures my interest, but the notion of causes which are so intense, the dream of learning better methods of resolving differences and the many testaments of the human spirit which can emerge in times of tremendous challenge. Joshua Chamberlain shared many thoughts I admire greatly and with a rich language that sings to me still. Many will have diverse opinions on what was contested on the battlefield; a likely reality is many agendas were being realized throughout the war. I believe firmly in the right of all people to be free and equal, judged foremost by the merit of their choices and actions. I similarly believe this battle did much good to advance that notion ultimately, although to this day it is a work in progress we strive to better achieve. Still in celebration of those people who chose to make a stand often with the ultimate personal sacrifice on the line, I will be traveling to Gettysburg with Tracy, Autumn, Gene, and Coach to delve deeply into the history while walking the pathways of such vital historic significance. I’ll stand on Little Round Top and consider the many charges faced by so few. I’ll walk Pickett’s Charge and wonder how the human spirit could have done so with the thunder of cannons and the nearly certain death. I will know that my life is different because of those people who took a stand for ideas which though costly were also worthy. Mostly I will think myself fortunate to live in this country where I too may lend myself to ideas and causes in which I believe fervently and yet do so without significant risk of my life. I will celebrate the birth of our country for all those ideals which are often challenged and challenging but always rewarding for the ultimate freedom to pursue with a plan the means to make it a better country and better world. 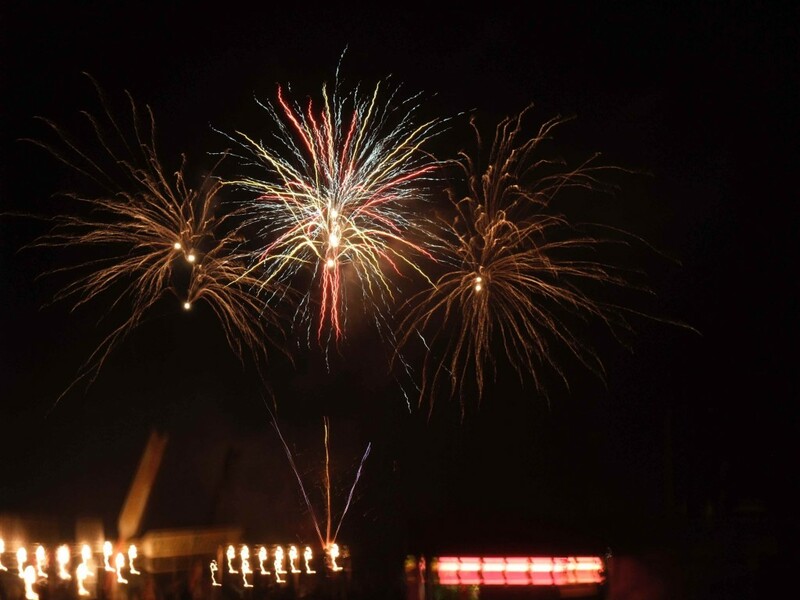 I am glad that our fireworks are for celebration more than the aspects of battle they simulate. I will remember the cost though… and be grateful. Tags: Andes, blind hiker, Hiking, Inspiration, Machu Picchu, outdoors, Randy. A majestic view of Machu Picchu with Huayna Picchu in the background. 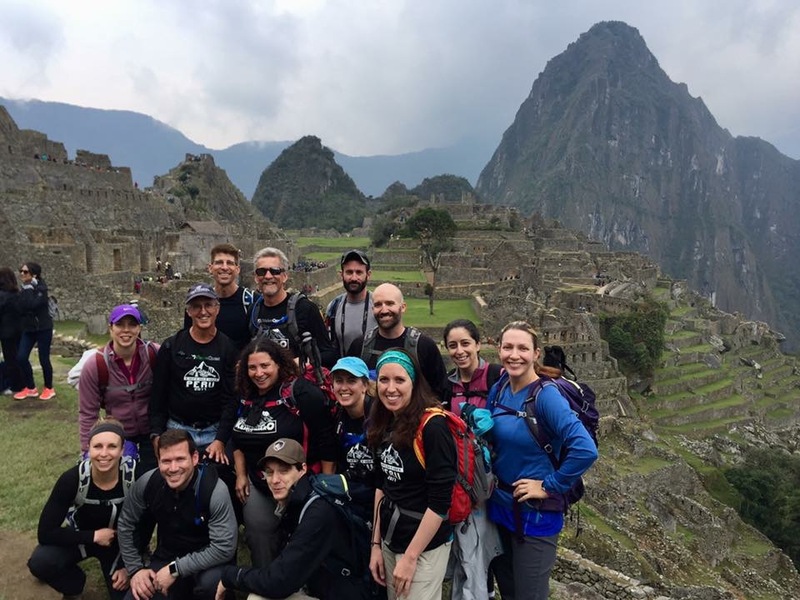 On September 14, our journey will begin as members of our 2020 Vision Quest team from around the country will travel to Peru for yet another epic adventure of a lifetime! Initially based out of Cusco, once the capitol of the Incan Empire, we will depart by bus and then train in the ludicrously early morning hours of September 18. This will bring us to Aguas Calientes from which we can launch to Machu Picchu Citadel and guided explorations. 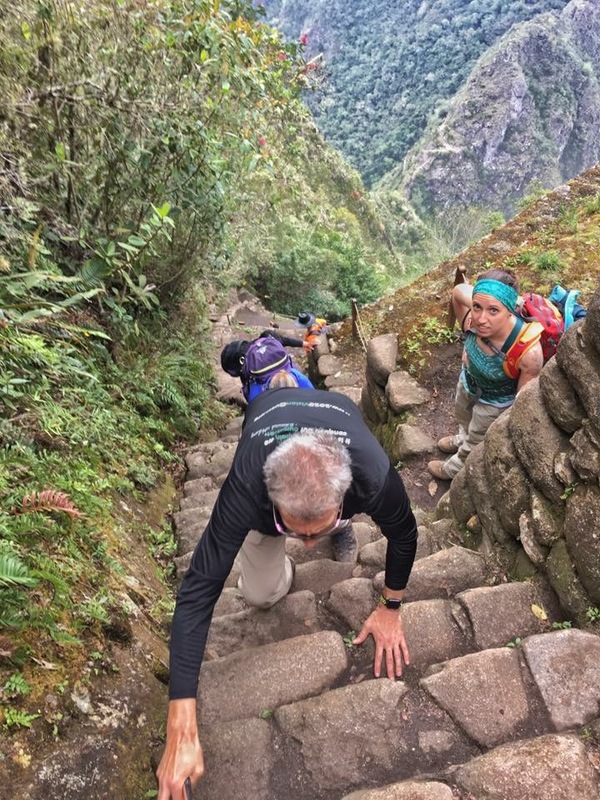 Our morning excursion include a hike of Huayna Picchu Mountain (the large mountain that sits directly behind Machu Picchu), rated one of the scariest hikes in the world! This will provide us with a rare perspective on the region before we finish our explorations of the fortress city and return to our base in Cusco. 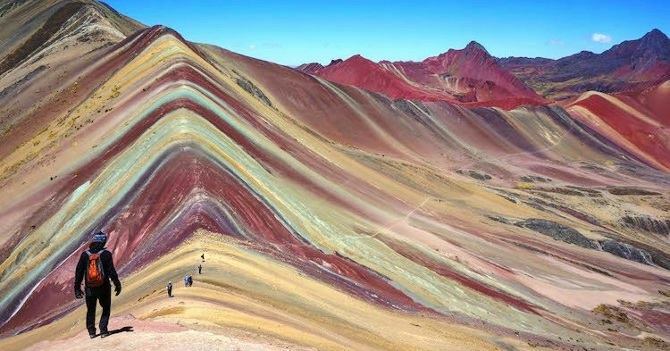 We’ll have little time before the deeper excursion begins: a four-day, three-night trip into the Andes culminating in a geological wonder called Rainbow Mountain. A breathtaking view of Rainbow Mountain. 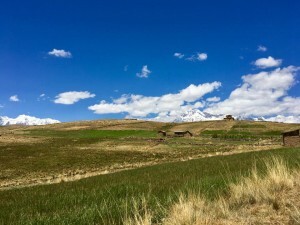 Day One: Our first day will take us above 12,000 feet to a maximum of nearly 15,000 feet and includes Tinqui Village, Upis Hot Springs and the Vilcanota Range will loom in the distance with Ausangate and Cole Cruz mountains dominating the landscape. Day Two: Our second day takes us to nearly 16,000 feet as we traverse Arapa Pass to Lake Pucacocha within view of the western ice-fall of Ausangate. Day Three: Our third day brings us our first views of the Rainbow Mountain. 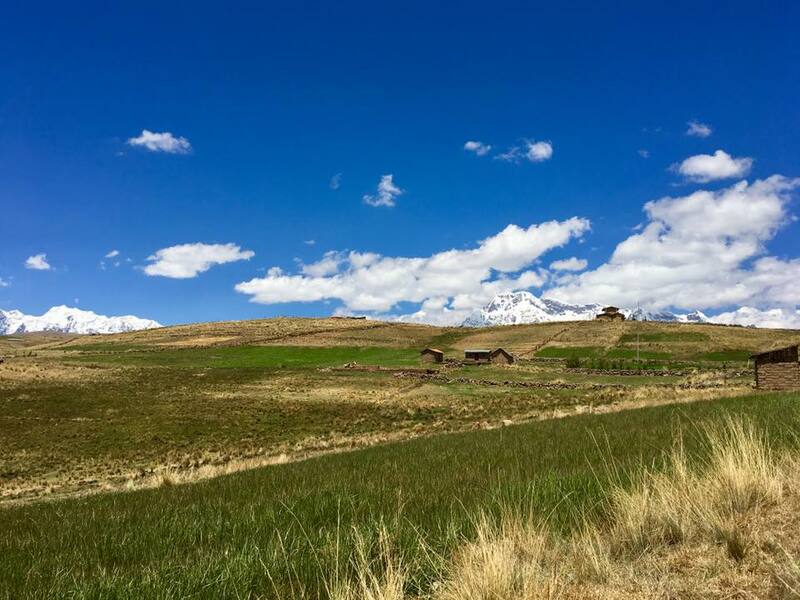 We ascend to Ausangate pass (16,170 ft) to see the colored mountains, as well as Vicuñas, and alpacas, then we descend to Alccatauri Village (14,435 ft). After lunch, we will follow a llama trail to Minasniyuq Pass to have the first views of the Rainbow Mountain (16,479 ft) and camp at Surine Cocha (15,748 ft) on the banks of the beautiful Lake Surine. Day Four: Our final day we will hike to the summit of Rainbow Mountain (16,469 ft). We descend to Quesiuno Village and are transported back to Cusco which will mark the end of the expedition for some of our number. 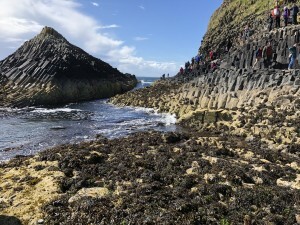 You might think that all of this would be enough adventure and experience and thanks to the great coordination efforts of Greg Neault it is certainly tremendous. But in addition, Greg has also arranged for a likely opportunity for a visit and presentation to a school while we are there. 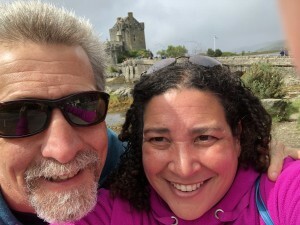 Tracy and I will be joining Jose and Kristen in taking an extra few days after all of this to relax in the Sacred Valley and reflect upon the experiences before we return home, our lives undoubtedly changed once again. There are so many moments in our lives which I believe are worthy of being appreciated more fully than we often allow. For me, these moments provide strength for the challenging times and suggest such future opportunities if we are willing to persevere. They also help me provide a better understanding into myself and my dreams, and help me shape some of those future experiences. While each of us should find our own rewards, I think a mindfulness of these opportunities helps reveal them more often than we might otherwise discover. 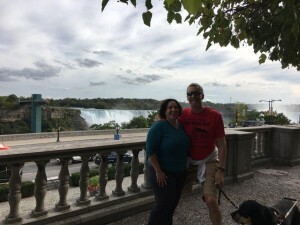 On my recent anniversary excursion to Niagara Falls there were many obvious moments of delight. Listening to Tracy’s exclamation when we stepped into our falls view room on the 22nd floor of the Sheraton was certainly powerful, as was my own experience when I opened the balcony and heard the immediate thunder which gave the Falls their name “Thundering Waters.” Again, there was the first unveiling of the colored lights which illuminate the rainbow falls in a chromatic splendor each evening. For the adventurous part of me, there was the newly created zip line over the gorge, in front of the falls towards the Horseshoe Falls which I can attest was invigorating to many! Certainly riding the Hornblower, sister ship to Maid of the Mist, into the Horseshoe Falls and feeling the spray of the thundering falls was also a highlight. Yet despite these and many more opportunities it was a simpler aspect that captured me powerfully enough to warrant my shared introspection. I was standing on the upper deck of the Hornblower with my right hand clenched firmly onto the rail while my left hand held Autumn’s leash. She nudged her head against that hand as she thrust her nose upward to draw in the scents which seemed to be calling deep into her instinctual being. Tracy had just stepped away as the dramatics of Horshoe Falls were past us and I believe she wanted a different camera shot. I could still feel the mist upon my face and feel the cool October winds of that crisp fall morning. I thought of how many travelers, adventuring-minded people had shared some of the feelings I was experiencing at that moment. I was exploring a bit of the marvels of our world, feeling, smelling and tasting the natural world so deeply. I was energized by the feeling as all my senses searched to absorb as much as possible and to retain the feelings while a calmness overtook my mind. It was the same calmness I feel when I make the time to step away from the more frantic pace of the world and remind myself of the foundation from which I want to base my world. It was so easy to find in that moment and so unrelated to the experience around me, it’s a calm I may achieve, albeit with more determined effort, at any point I’m willing to set aside five minutes for myself. Whether I call it meditation, relaxation, or mindful calm; the point is that it’s a moment of incredible value in my life which I can have often if I so choose and yet can so readily lose as well. I didn’t have to travel all the way to Niagara Falls and undertake all those adventures to remind myself, but that is what it took this time and it’s a trip I hope to continue a little more regularly with the work and goals ahead!